Private tropical oasis with stunning water views, Located in the charming Stanhope Gate neighborhood. A custom retreat built by Todd Johnson. Indoor/Outdoor living at it's best with Great Room, Living Room and Den opening out to a large Lanai with spectacular pool and water views. Open-Concept Floor Plan; each Bedroom has on-suite bathroom. One bathroom has direct access to the pool. Luxurious entry with beautiful custom tile/marble inlay flooring and sparkling crystal chandelier. Chef's Kitchen with rich wood cabinetry, granite counter-tops and breakfast bar. Fabulous pool and lake views can be enjoyed from your breakfast nook complete with an aquarium window. Breakfast in bed in your spacious master suite while enjoying pool /lake views. Luxurious Master Bath with separate his/her sinks, walk-in shower and large soaking tub. Over-sized two-car Garage with private golf cart entry. 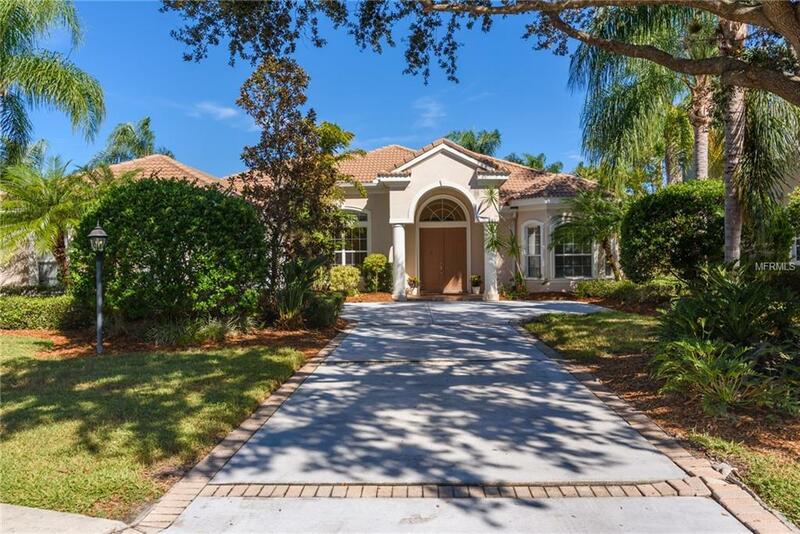 Start enjoying your Perfect Florida Lifestyle in this Luxurious Retreat and Awarding Winning University Park which includes: 27 Hole, 4 Star Rated Golf Course, Tennis, Fitness and a Lively Social Club.